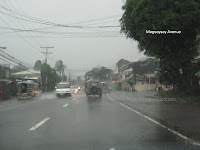 ** Once again, more or less Bicol was spared from the rage of Typhoon Parma (Pepeng). 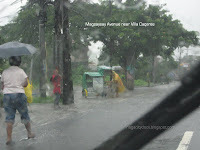 Here in Naga City we experienced continuous heavy rains for almost a day which caused suspension of classes last Friday. 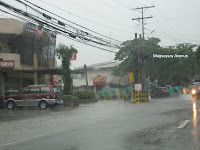 Office transactions were also suspended especially during Friday afternoon because of the rising flood in the main thoroughfares of the city. 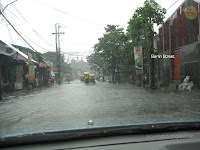 There were universities and colleges that extended the suspension of work and classes until Saturday October 3, 2009. 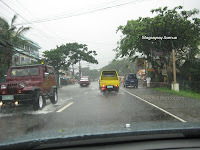 Residents near Bicol River (particularly those in Naga) were threatened with the possibility of the water overflowing. 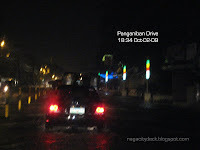 High tide was announced to be 4:53pm last Friday which alarmed a lot of people. 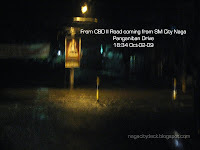 There were huts and houses with light materials that was reached by the water from the river but thank God the rain stopped.